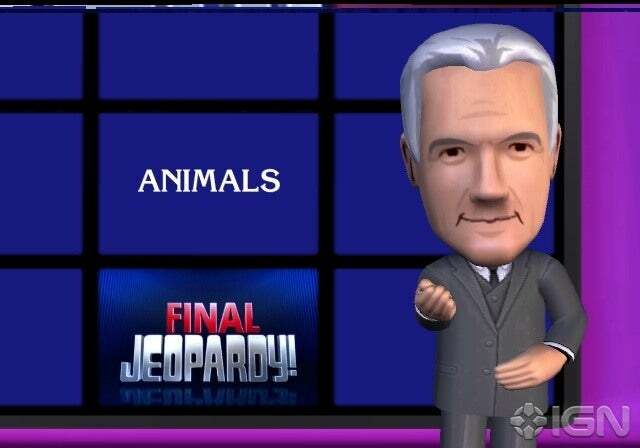 Game Show themes for special events are pretty common. I’m sure you’ve seen corporate version of Family Feud, etc. Since I’m such a fan of videogames, my natural approach to events is: How can we actively engage the most amount of people through fun technology at once? Anticipation is for real. 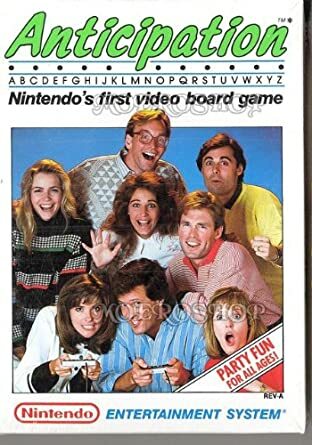 I did some research on the newest Xbox One versions of game shows, hoping that advances in technology would result in, say, a digital Richard Dawson hosting your Family Feud game. No dice. (Apparently no videogame company wants to pony up to the estate of passed-away game-show celebrities.) And the Xbox Kinect, while an amazing piece of hardware, is still not utilized well in actual videogames. 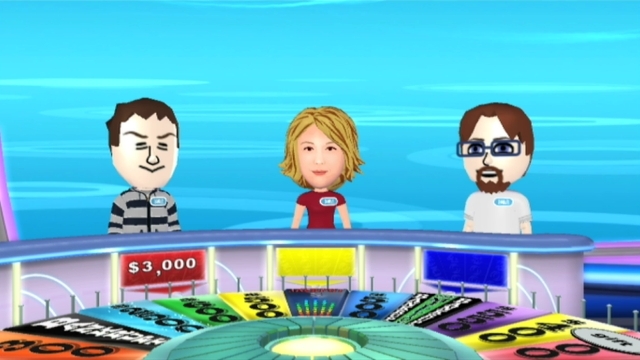 The Wii versions of game shows ended up being the way to go, even if the “Wii talk” function is totally unusable at special events. Everyone can use a remote control, and hence a Wiimote! You actually “spin” the Wheel using your Wiimote — much more fun than pushing “A” button. And the low-quality graphical representations of both your homemade on-screen avatar and of Alex Trebec and Vanna White are charmingly hilarious. Amazing. For the main attraction, Quiplash is pretty much the technology-age evolution of the game show. It’s like Apples to Apples / Cards Against Humanity, except everyone is writing their own answers and prompts, live, via smartphone! 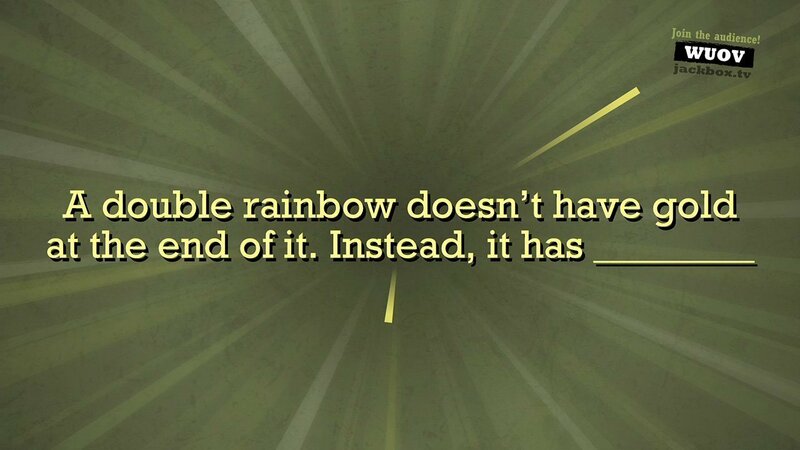 Your mind wanders to inevitably-off-color places during Quiplash. But at work events, even with alcohol involved, everyone self-censored themselves since they still know it’s a work function. Most importantly, instead of merely watching the action, spectators (up to 10,000!) determine who scores big points – not the players. So far, whenever we use Quiplash for a corporate group, we personalize the prompts we write for the company, and people seem to really enjoy it. We’ve actually found a number of new programs to augment corporate meetings and training that the audience can have a role in using their smartphone. Everyone has a smartphone – why not leverage that to bring hundreds of people together into the same activity? One of the best-kept secrets in Cleveland DJ entertainment is Frisky Entertainment, in my opinion! Even if you can’t operate a videogame controller, everyone can use a remote control, making the Wii the perfect videogame console for these types of events. Foosball is requested every year at KSPT, no matter the theme! The HR team at KSPT really went all in creating some really fun decor. Price is Right nametags for guests, this incredible Showcase Showdown podium, etc.! These should be on Pinterest! ← Alex Brick's Bar Mitzvah – 2/10/18 – Green Screen Photos!